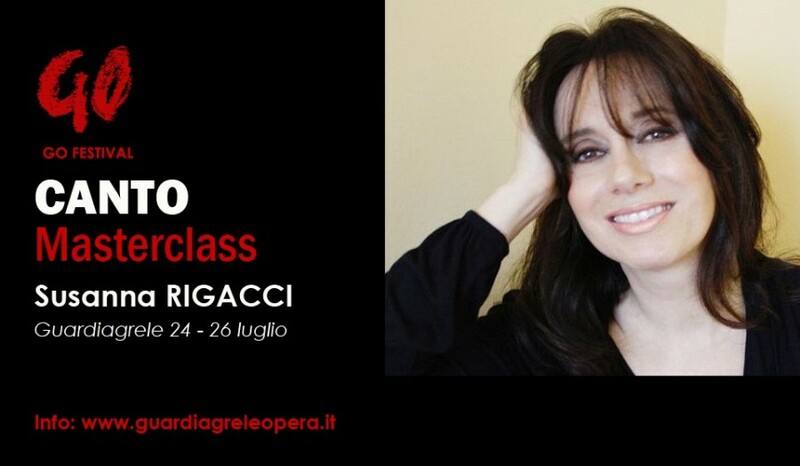 Programma: La Masterclass di Tecnica Vocale è rivolta a Cantanti Lirici e a Studenti di canto lirico. La Masterclass é incentrata sull'approfondimento della tecnica vocale del Belcanto, l'interpretazione, lo stile e la prassi esecutiva, con approfondimento del repertorio che va dal Barocco ai giorni nostri. taly-Sweden singer, born in Sweden by italian father. Debuts in Rosina in the "Barbiere di Siviglia" as winner of the "Concorso Battistini". In August of 2008 she is awarded of "Premio Internazionale G. Verdi" to the carrer. She sings in 6 languages and is Voice Solist of the Teacher Ennio Morricone. Susanna Rigacci, born in Stockholm, Sweden, into a family of musicians, began her musical and vocal studies at the conservatory Luigi Cherubini of Florence. There, she was a student of Renata Ongaro and graduated with honours. She continued her studies in Milan with Gina Cigna and in Padoa with Iris Adami Corradetti. After winning a singing competition in Rieti, she made her operatic debut as Rosina in Rossini’s Barber of Seville. She was awarded a prize in the Maria Callas competition, which was broadcast by Italian television, and won the first prize in the “Sängerförderungspreis”, Mozarteum International Competition in Salzburg. Since then she has embarked on an international career and sung in world-class opera houses both in Italy and abroad (La Scala, Milan; Maggio Musicale Fiorentino; La Fenice, Venice; Teatro dell’Opera di Roma; Teatro Filarmonico, Verona; Teatro Massimo, Palermo; Teatro Regio, Parma; Teatro Massimo Bellini, Catania; Teatro Comunale, Bologna; Teatro Valli, Reggio Emilia; Carnegie Hall, New York; Opéra Comique and Théâtre du Châtelet, Paris; Salle Molière, Lyon; Prague Philharmonia; Barbican Centre, Queen Elizabeth Hall, and Royal Albert Hall, London; Teatro Romano, Mérida; Opéra Royal de Wallonie, Liège; Sibelius Academy, Helsinki; Fundação Calouste Gulbenkian, Lisboa; Wexford Festival Opera; Teatro Municipal de Mallorca; Stadttheater, Bern). Susanna Rigacci sings in six languages and has a wide operatic repertoire embracing baroque opera (Pergolesi, Vivaldi, Cimarosa, Stradella, Scarlatti, Händel), Mozart coloratura roles (Die Zauberflöte; Die Entführung aus dem Serail; Il Re Pastore), bel canto roles such as Donizetti, Bellini and Verdi (Lucia di Lammermoor; L’elisir d’amore; Don Pasquale; Betly, or the Swiss Chalet; Rita; I pazzi per progetto; La sonnambula; I puritani; Rigoletto; Falstaff; Un ballo in maschera), Rossini (Barber of Seville; Signor Bruschino; L’italiana in Algeri; La cambiale di matrimonio; L’inganno felice; La scala di seta), a French repertoire (Les contes d’Hoffmann; Lakmé; Mignon; Hamlet; Dinorah-Le Pardon de Ploërmel), and a German repertoire (Der Freischütz and Ariadne auf Naxos). Since the early years of her career, Susanna Rigacci has developed an interest in contemporary music and received invitations from: La Biennale, Venice; London Sinfonietta, Barbican Center, London; Schleswig-Holstein Musik Festival; Festival di Gibellina; RAI Rome; RAI Turin; RAI Milan; Orchestra dei Pomeriggi Musicali, Milan; Orchestra Sinfonica Siciliana; ORT-Orchestra della Toscana; Rome Sinfonietta; Recherche Ensemble; Ensemble Nuovo Contrappunto; Contemporart-Ensemble. Her contemporary repertoire includes works of Schoenberg, Berg, Webern, Berio, Nono, Morricone, Piovani, Togni, Castiglioni, D’Amico, Sciarrino, Clementi, Sinopoli, Pennisi, Gaslini, Ferrero, Arcà, Corghi. She gave first performances of works of Francesco Pennisi, Matteo D’Amico, Carlo Galante, Alessandro Sbordoni, Filippo Del Corno. 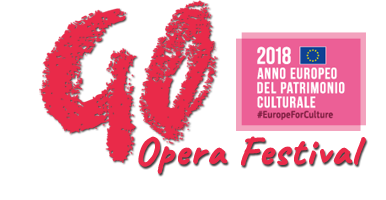 In 2009, she was the soprano interpreter of the absolute premiere of the opera Padre Cicogna by Nicola Piovani in the performances at the Teatro S. Carlo, Naples, Teatro Carlo Felice, Genoa, and Teatro Greco, Taormina. She was also the protagonist of the first performances in Italy of The English Cat by Hans Werner Henze at the Teatro Comunale, Bologna, and of The man who mistook his wife for a hat, by Michael Nyman. Since 2001, she has been the solo voice of Ennio Morricone’s concerts in Italy and all around the world (Arena di Verona, Teatro alla Scala, Accademia di Santa Cecilia, Florence, Bologna, Pesaro, Turin, Palermo, Taormina), during tours in Europe (London: Royal Albert Hall, Barbican, Apollo Theatre; Athens: Odeon of Herodes Atticus; Moscow: Kremlin; Paris: Palais des Congrès; Munich: Münchner Rundfunkorchester, and also in Amsterdam, Brussels, Dublin, Belfast, Bilbao, Santander, Lyon, Nantes, Nice, Toulouse, Lille, Luxembourg, Auxerre, Budapest, Prague, Bratislava, Warsaw, Vienna, Krakow, Hamburg, Frankfurt, Györ), tours in Asia (Tokyo, Beijing, Shanghai, Seoul, Taiwan), tours in North and South America (New York, Rio De Janeiro, São Paulo, Mexico City, Santiago de Chile), and Australia (Perth, Adelaide). In 2015, she joined “Vox Nova Italia”, a contemporary music Italian Ensemble of soloists, with which she participated in the 56th edition of the Venice Biennale in the world premiere of In the midst of things, by Gene Coleman. She is a much appreciated chamber music performer and her concert programmes vary from traditional, formal compositions to musicals, from modern pieces to film music. Thanks to her versatile vocal style, she is able to offer a beautiful, eclectic blend of musical genres. She has sung under conductors such as Giuseppe Sinopoli, Luciano Berio, Lü Jia, Gianluigi Gelmetti, Bruno Bartoletti, Ennio Morricone, Nicola Piovani, Marcello Panni, Gustav Kuhn, George Fisher, Arnold Östman, Carlo Franci, Bruno Rigacci, Herbert Handt, Alberto Zedda, Gabriele Ferro, Bruno Campanella. Susanna has recorded for Erato, Philips, Bongiovanni, Ricordi, Dynamic. She is also a vocal coach and teaches in five languages. She regularly holds international master classes and has been invited by universities and academies in Japan, Taiwan, Sweden, and Italy.